Old movie trailers, called previews back in the last century, conjure up memories of the time when they were the only thing shown before the feature film. There were no advertisements for local businesses or high tech products interspersed with the trailers, nor were there lists of dos and don'ts of theater etiquette flashed on the screen. Attendees were assumed to have been schooled in movie watching basics before they got there. Almost everyone can remember a favorite movie trailer that was so compelling, it was painful to wait until the full movie was released. Sometimes the movie didn't live up to the quality of the trailer scenes, but some were so well produced, they deserved an award of their own. If you want to relive some of those nostalgic trailer moments, there are several online sources for your enjoyment, with some featuring old movie trailers that date all the way back to the 1920s. This uniquely titled site has an enormous vault of movie trailers that are organized alphabetically for easy access. The Chasing the Frog site also has links to trailers in general for casual browsing, as well as a Classic Trailers link to view the best of the best. Since Chasing the Frog uses professional sites with fast servers to access the trailers, the downloads are quick and high quality. Metro Goldwyn Mayer (MGM) was one of the first and most successful film production companies from 1920 through 1970. Every film they ever made has a trailer on their website, along with links to find out tons of facts about their movies, from the casts and plots to star interviews and news and gossip related to their films. Although not as fast or sophisticated as some of its counterparts, Reel Classics provides trailers as well as original posters, screenshots and reviews for hundreds of movies. Their collection dates back to the 20s and the downloads of the trailers are in .mov format, which requires you have Real Player software installed on your computer to view them. Unlike most other movie trailer websites, Jaman has trailers from classic foreign films from all over the world including Germany, Ireland, France and the United Kingdom, as well as an impressive selection of Bollywood trailers. 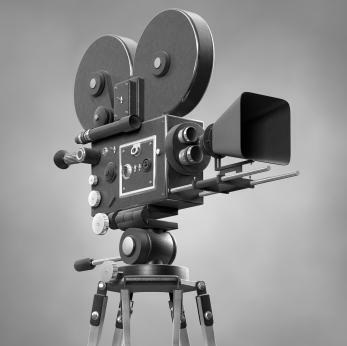 The downloads are relatively slow and there are no trailers from movies made before 1960, but it is worth a visit just for the foreign film trailer collection. As the name implies, only trailers from movies deemed "classic" are available here, but that still includes about 150,000 choices. The Turner Classic Movies database is extremely user friendly and has movie titles dating back to the 1930s. When you click on a title, you can either choose to see a clip from the movie or a trailer. The videos load quickly and the media player is high quality, so the sound is clear and doesn't fall behind the visual displays. Each movie also has links to downloadable audio soundtracks, posters and film reviews. Some sites regularly update their offerings to include trailers from newly released and upcoming movies. When you don't feel like leaving home but have a yen for movie madness, make a bowl of popcorn and sit back to enjoy bits and pieces of the hits of yesterday and the potential winners of tomorrow.